Property Talk: What Happens to Prices of Old Leasehold Condos? The Edge Property shares their findings and insights. Since the Singapore government has ceased to offer freehold land parcels under its Government Land Sales (GLS) Programme, and with most residential properties occupying 99-year leasehold sites, it would be interesting to observe the price performance of leasehold properties as their tenures run out. Lessees may apply to top up the lease to a fresh 99 years. However, a lease extension will typically be granted only if it involves land use intensification or urban renewal, such as in an en-bloc sale for redevelopment. Meanwhile, the recent hike in development charge rates and the continued enforcement of the Qualifying Certificates Rule have further diminished chances of a successful en-bloc sale for leasehold sites. For new developments, there is no clear winner between leasehold and freehold properties in terms of price performance. However, things could change when the remaining lease gets shorter. For one, financial institutions might be reluctant to extend loans for properties with a short balance lease. The loans are usually granted on a case-by-case basis and come with a lower loan-to-value ratio or shorter tenure. There are also more restrictions in using CPF savings to finance the purchase of such properties, such as a stipulation of a minimum remaining lease of 30 years. For properties with a remaining lease of between 30 and 60 years, the buyer’s age and the remaining lease must total at least 80 years. All this means that as the remaining lease runs down, the pool of potential buyers will shrink. To illustrate: 30-year-old buyers can only use CPF savings for properties with a balance tenure of at least 50 years while buyers above 40 years of age can still use CPF savings for a property with a balance tenure of at least 40 years. There are also limits on the amount of CPF savings that buyers can use to pay for such homes, based on this formula: (Remaining lease of the property when buyer is 55 years old) / (Lease of the property at the point of purchase) x (Valuation Limit). The Valuation Limit is the lower of the purchase price or the value of the property at the time of purchase. Surprisingly, however, ageing leasehold properties have shown positive price performance despite the seemingly gloomy outlook. Factors such as en-bloc potential and attractive rents appear to make up for their reducing tenure. New condos in their vicinity would also have boosted their prices. One example is the Golden Mile Complex, whose 99-year leasehold tenure started from August 1969, giving it a balance lease of approximately 52 years. It was one of sites offered under the first sale of sites programme. The latest transaction in the project took place in April last year, when a 2,196 sq ft unit on the 15th floor fetched $638 psf. The same unit sold for $364 psf in December 1996. The price appreciation of 75% surpassed the URA price index, which rose 18% between 4Q1996 and 2Q2015. Golden Mile Complex is located at the city fringe, which is also home to other ageing leasehold properties such as Pearl Bank Apartment, Sherwood Tower, Textile Centre and The Plaza, with a remaining lease of less than 60 years as at 2016. In the past decade, the average price for these properties has risen from $309 psf in 2006 to $767 psf in 2016, or around 10% a year. In comparison, the URA price index for private non-landed homes in Rest of Central Region appreciated 4% a year over the same period. The price appreciation of older leasehold condos also appears attractive when compared against that of new projects. At Southbank, a relatively new project in the same district as Golden Mile Complex, a 969 sq ft apartment on a high floor was transacted at $1,538 psf this year. Since the seller had purchased the unit direct from the developer at $549 psf in 2006, the sale has yielded an annualised gain of 11% over the past decade. The figure may seem superior as Southbank has strong site attributes, such as a riverfront location and proximity to the Lavender MRT station. Southbank is a mixed-use development comprising a 197-unit residential block and a 60-unit SoHo block. It sits on the site of the former Eng Cheong Tower, which was the first collective sale in Singapore to involve the topping up of the lease to a fresh 99 years. The project was completed in 2010. A number of ageing leasehold properties are located in prime districts 9, 10 and 11 as well as in the Downtown Core. Prominent developments include Hillcrest Arcadia, International Plaza, Peace Centre/ Mansions, People’s Park Centre and People’s Park Complex. Prices for these developments have appreciated by around 8% a year over the past decade. In comparison, the URA price index for private non-landed homes in the Core Central Region rose 4% a year over the same period. A more intensive methodology of assessing the price performance of ageing leasehold properties is to compute the profit and loss of unit sales and compare the figures against the change in the URA price index for private non-landed homes over the same period. For example, at Hillcrest Arcadia, which has a 99-year leasehold tenure from 1975, a 1,711 sq ft unit was bought at $339 psf in January 2005 and resold at $952 psf in September 2015. The 180% price appreciation is higher than the 69% growth in price index over the same period. According to this measure, many of the oldest private non-landed homes in Central Region have outperformed the index even as their balance lease runs down (see charts). Homes resold with a balance lease of 60 years or less had the highest majority of outperformers—86% (289 of 335 cases)— followed by those with balance leases of 60-65 years (81%, or 447 of 550) and 65-70 years (78%, or 626 of 801). However, in Outside Central Region, the trend was the opposite, with the proportion of transactions that outperformed the index slipping as the balance lease approaches 65 years and below. This difference in fortunes could be owing to the scarcity of GLS offerings in Central Region, leading to higher en-bloc potential for older properties in Central Region, and limited supply in general. Thus, regardless of the financing issues and restrictions on the use of CPF savings, older leasehold homes, particularly those in the city centre, appear to stand the test of time in monetary terms. Only time will tell if they can maintain their value as the lease reaches its end. 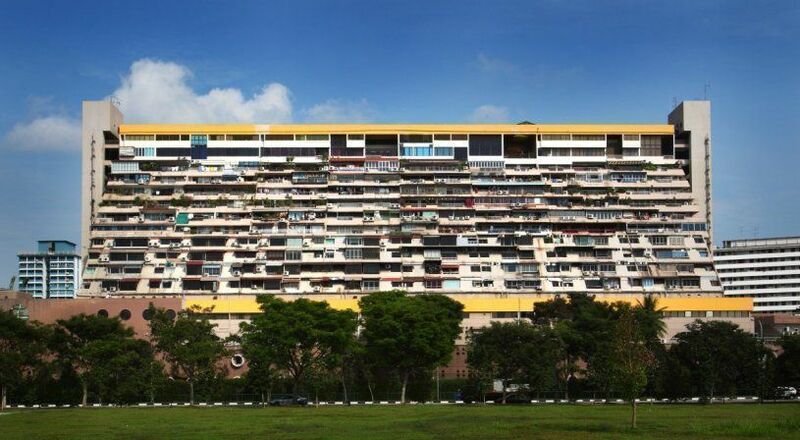 Currently, the shortest remaining lease may be held by the apartments at Bedok Shopping Complex, which sits on a site with a 60-year lease from 1977. A 1,216 sq ft apartment fetched $288,000 ($237 psf) in March, reflecting a hefty 25% price decline from 2013, when two units went for $317 psf on average. Still, it is difficult to establish a trend as transactions were scarce. On the other hand, three similar-sized units have fetched an average rent of $3,067 per month this year, which translates into a very attractive rental yield. This article originally appeared in The Edge Property.